Every shopaholic knows their true weakness and for many, that is online shopping. As one of the biggest innovative e-commerce sites in the world, Gilt Groupe provides instant insider access to today’s top designer labels, at up to 60% off retail. Founded by Alexis Maybank and Alexandra Wilkis Wilson in 2007, this “small office startup” has gained millions of devoted members in just a few years time. To the excitement of Valley fashionistas and industry professionals alike, Alexandra visited Scottsdale recently as a Special Guest at the Arizona Chapter of Fashion Group International’s annual Spring Trend Report, discussing the success of Gilt Groupe and one of her newest projects. 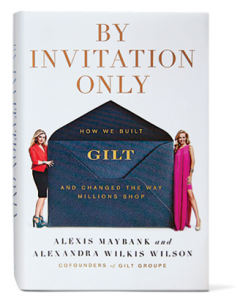 Alexandra, with Gilt Groupe cofounder Alexis Maybank, authored the book, By Invitation Only: How We Built Gilt and Changed the Way Millions Shop. If you are an entrepreneur or fashion professional, this book is a must-read. I had the amazing opportunity to catch up with Alexandra during her busy workweek in New York City and chat about her fashion start, how Gilt Groupe has grown from 2007 and what you will currently find hanging in her closet. Many of our readers are aspiring fashion entrepreneurs looking for inspiration or advice. Would you mind sharing with us the path that lead you to success? You previously worked for luxury brands like Louis Vuitton and BVLGARI. 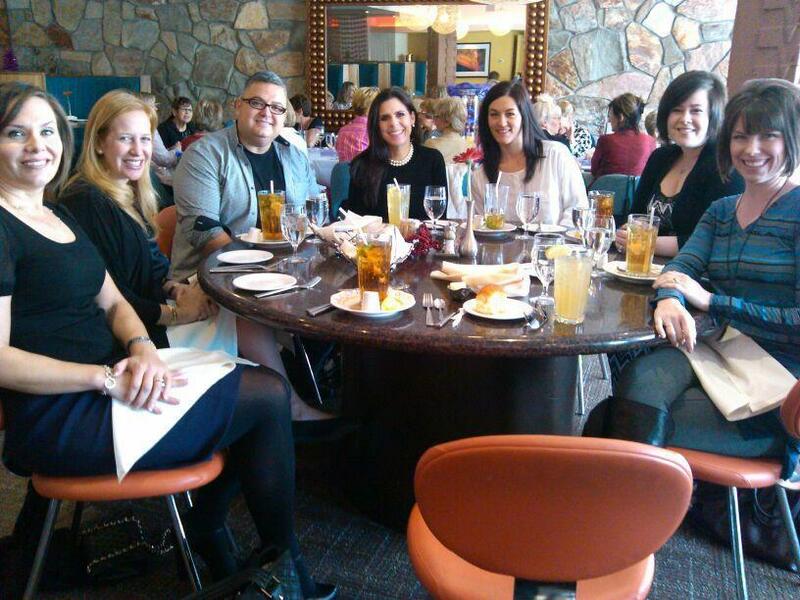 How did these experiences influence or help you in founding Gilt Groupe? Your first designer ever on Gilt Groupe was Zac Posen in 2007. How did this come about, what was the reaction like from the designer/members and how did this effect the future of Gilt Groupe? As a former “small office” start-up, what advice can you give to other emerging designers/brands/entrepreneurs? “We created a culture of excitement, one in which we had never worked in before. At Gilt Groupe, we were encouraged to take calculated risks, test ideas and learn from our mistakes. I definitely feel like that kind of environment was the key to true innovation. How would you describe your personal style, and who are some of your favorite designers? What are your favorite hobbies? Name one thing people may not know about you. Seeing as Gilt Groupe has its own buying team, what kind of advice can you offer emerging designers preparing to present their line to a buyer/boutique? 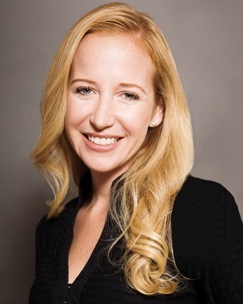 Where do you see Gilt Groupe going in 5/10 years with the constant changes in technology/e-commerce? Thanks Alexandra! We can’t wait to see what 2013 will bring to you and Gilt Groupe! 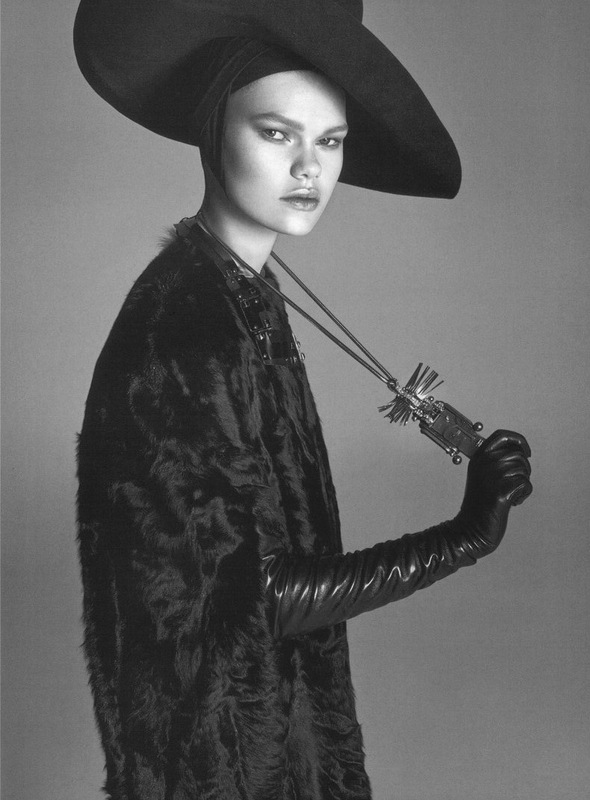 You may even see Alexandra make a guest appearance at Phoenix Fashion Week 2013! Just a few weeks ago, Phoenix Fashion Week’s 12 Emerging Designers, chosen from all over the country after a seven city tour, were announced to the world at our Official Emerging Designer Announcement at the Musical Instrument Museum on July 21st. The event was sold out twice over and was packed with loads of media, fashion bloggers and local fashionistas eager to catch a glimpse of the next “it” designers before their collections hit the runway in October! The event not only featured a cocktail reception and an opportunity to shop our Official Accessory Designers, but a mini runway show and press conference followed by a fabulous after-party at Narcisse Champagne Lounge. Watch this video for a recap of the successful night, as well as a sneak peek into each of the 12 talented designers! For more information on Official Emerging Designers, visit our website! Also, don’t miss our next big event,’Shop Garment District’, coming up August 10th at the beautiful Degree 270 lounge at Talking Stick Resort! This event will not only feature a Style Villa-esque set up, where you can shop all the emerging designer collections, along with a runway show featuring not only these designers but our Top 40 Models! (this is their Runway Challenge!) For more information and to purchase tickets, visit our Eventbrite page! Phoenix Fashion Week has always been known to provide fashionistas an inside look into the industry, from interviews with fashion designers to trend forecasting via street style and live social media updates. We are excited to announce that we are creating ‘PHXFW TV’ and have chosen quite the fashionista as our new ‘Fashion Host’…Miss Arizona USA 2011 Brittany Brannon! Brannon has been involved with PHXFW for years, which is why this announcement feels like a natural and fitting transition. Whether it’s giving behind the scenes access to our designers’ creative design process, to live video interviews with key industry professionals at each event leading up to and including fashion week, Brannon’s role as ‘Fashion Host’ of PHXFW TV will be a must see! Her first official hosting assignment will be at the Emerging Designer Announcement Event at the Musical Instrument Museum on June 21st. So, we decided to catch up with Brannon and get our own behind the scenes look into her background as a crowned beauty that wears many hats, including a graduation hat, just last month from Pepperdine University! Introduce yourself and what your role will be with our team. Provide us a background on your previous experience that will help you in this new role. Why did you choose to accept this new role with PHXFW? What are you most looking forward to about this role with PHXFW? How have you been involved with PHXFW in the past? What do you hope to bring to the viewers of PHXFW TV? Make sure to look for Brittany at the Emerging Designer Announcement Event at the MIM on June 21st beginning at 7pm! Stay tuned for an upcoming blog post featuring this event and it’s ten (10) talented emerging designers! To get to know Brittany even better, visit her website, follow her on Twitter and “Like” her on Facebook! With Phoenix Fashion Week only days away, a local fashion model’s success story could come at no better time. Unless you’ve been ignoring the constant media buzz, we’re sure you have heard about local model and former Phoenix Fashion Week model, Kelly Mittendorf, who became a fashion sensation overnight. 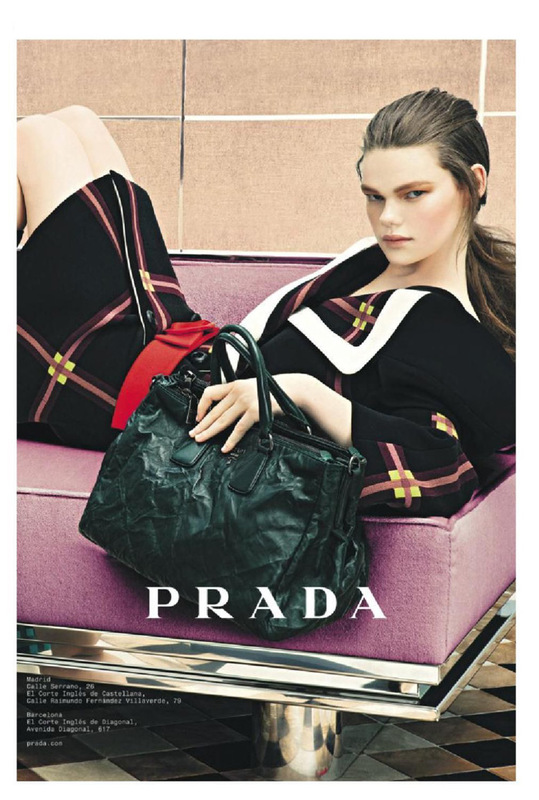 She was the talk of the town after shooting the fall PRADA campaign with famous photog Steven Meisel and her name and image as been splashed across blogs and websites ever since. She walked for Anna Sui at New York Fashion Week, as well as closing the Marc Jacobs show. Currently, she is walking in London Fashion Week, already strutting her stuff for Topshop Unique! I had the pleasure of catching up with Mittendorf and her “mother agent,” Margaret Merritt, of The Agency Arizona via email while she was in NYC. Read on for insights into this Arizona native’s jet setting life, including advice for PHXFW’s own models. Q: Please give our readers a brief description of your modeling history/experience/background. Q: Congratulations on landing a spread in the fall PRADA campaign! How did this come about and what was the experience like? Q: How has The Agency AZ helped many local models make it in the industry? 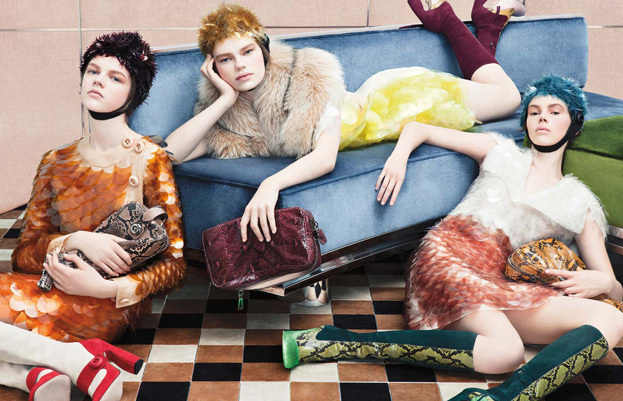 Q: How has life changed for you after shooting the PRADA campaign? Q: You were also a runway model in PHXFW last year. How do you think that experience prepared you for the industry? Q: What advice can you offer to PHXFW’s Top 40 models hoping to make it in the industry? Q: What has been the biggest perk for you since modeling for PRADA? Q: You walked for the first time in New York Fashion Week this year! What was that experience like? Q: You also closed the Marc Jacobs show, which also happened to be the last show of fashion week and had a lot of people talking. How does that feel? Q: What was it like to not only be in NY during fashion week, but walk for such prestigious designers as Anna Sui and Marc Jacobs? Q: What does the future hold for you? Any new campaigns or brands you are working for? Thank you Kelly and Margaret! *We love feedback! Post a comment or question about this article for a chance to win a free PHXFW t-shirt! If you are looking for an industry expert with experience in everything from photography, to creative direction and styling, look no further than Jo Lance. With many years of experience shooting everyone from celebrities to supermodels, Jo’s award-winning photography work has been featured in magazines and on television. Jo and his work have appeared on MTV Mexico, Telemundo, Univision, Telefutura, FOX5 News NY, and WB11 News NY, as well as The Latin Grammy Awards, Project Runway, Despierta America,Alexis Valdez, ECO, Fashion TV Mexico, and more! His work was also featured in the book Pixel Surgeons and in the film The New Yorkers. He recently released two records, as well as releasing six books covering topics from art to Fame for Dummies. He can currently be seen as a judge on Mexico’s Next Top model next to super model Elsa Benitez. I had the chance to catch up with Lance via email and discuss his exciting career as a fashion photographer and more! Q: Do you have a fashion icon? If so, who and why? 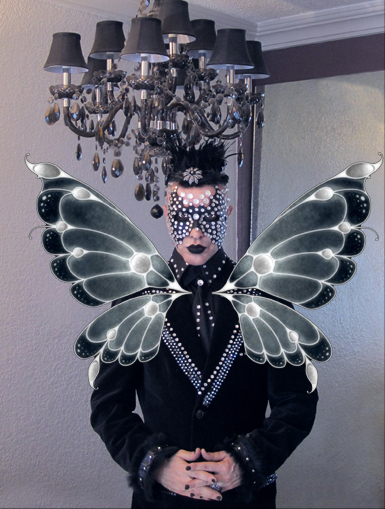 Q: I heard you are one of the judges on Mexico’s Next Top Model…congratulations! How did this come about and what has the experience been like? Q: What is the most bizarre situation you have observed or been in as a photographer? Q: What are your plans for the future? Any other projects in the works? Q: I heard you will be walking in Phoenix Fashion Week’s Fashionably Pink Show! What made you want to be involved? Q: As a fashion photographer out of New York City, what advice would you give to those hoping to make it in the industry? We love feedback! Post a comment about this article to win a free PHXFW t-shirt! It’s no secret the fashion industry is highly competitive. Emerging designers must work their way up and many times do not receive the support they deserve. However, organizations such as Phoenix Fashion Week and now Madison Buyer, have become known within the industry as providers of assistance and a platform to showcase these designers’ talents. I had the opportunity to catch up with Shawn Madawi, Co-founder of Madison Buyer, via email, before their big trip to Las Vegas for the largest fashion tradeshow in the world, MAGIC, taking place this week. Explain for our readers what Madison Buyer is. “Madison Buyer is an online collection of fashion designer portfolios designed to extend brand awareness beyond the show floor. Both social and searchable by product categories, price points, tags, and events, Madison Buyer provides retailers the opportunity to browse and target designers before the show, and revisit portfolios after. It’s a simple and efficient tool for discovering new and independent designers”. What is the story behind why it was started? “Initially my intention was to open a boutique and stock it with my favorite Brazilian inspired designers. I enlisted my business partner’s help but we couldn’t find the designers I was interested in. We realized we were missing out on up-and-coming designers because we didn’t know a specific name to Google. And it was even more difficult to navigate the many trade show sites to determine which one(s) we should attend. Did we really HAVE to go to Brazil? Didn’t anyone exhibit here in the US? Where? Vegas, New York, L.A., Miami? So we decided to try making the process a little easier by providing one place to search for designers by criteria such as categories, price points, tags, and trade shows”. What does your company offer to designers and buyers? Why did it make sense for you to partner with Phoenix Fashion Week? “We meet Brian Hill last year at POOLTRADESHOW and he has been keeping us updated on what PHXFW is doing. We really enjoy working with fashion communities outside of large markets because we get to meet a lot of emerging, talented designers. The fit was natural as we share the same passion in providing affordable tools to help designers succeed. We are continuously impressed with the progress Brian and his team have made in putting PHXFW on the map. But even more so by their commitment to educate emerging designers on properly showcasing and launching their line”. We are excited to hear about your debut at the Magic show this year! How did this come about and why is it important to Madison Buyer? “Yes, it is very exciting for us! We’ll be situated on the concourse at WWDMAGIC. Being a part of WWDMAGIC is an amazing opportunity for us to collaborate and connect with the very people we built this for…designers and retailers. In addition, we get to work with Macala Wright, founder of FashionablyMarketing.me and Why This Way. We’ve learned so much from her and every time we see her we learn something new! She really has been the engine driving the tech and fashion train and we are very lucky and grateful she brought us along for the ride”. What does the future look like for you? Plans? “The long-term objective is for Madison Buyer to become a fashion hub for the business side of fashion, with a solid representation of apparel & accessory designers across international borders, and across genres as well–such as outdoor sports or vintage wear. Our goal is to have retailers check out Madison Buyer before heading to market week or trade shows, and for designers to have Madison Buyer as one of their top resources for promoting their product”. For more information about Madison Buyer, visit www.madisonbuyer.com. If you are attending MAGIC, don’t forget to stop by their booth on the concourse and tell them PHXFW sent you! We love feedback! Post a comment or question about this article and you win a free PHXFW t-shirt! You may not have thought about it, but if you do you’ll see that there is a real connection between cuisine and fashion. Like great fashion, great cuisine requires a significant amount of consideration in the areas of engineering /patternmaking, complementary color choices and wonderful textures. Designers have even tried creating apparel out of food. Remember Lady Gaga’s meat dress? Recently I attended a wedding , followed by a casual get together of good friends and family at a dear friend’s home, where we were treated to an amazing brunch created for us by Chef Frank Otte, a family member and friend. It was amazing to watch the care and precision taken as he considered and then created the beautiful and delicious dishes he offered. 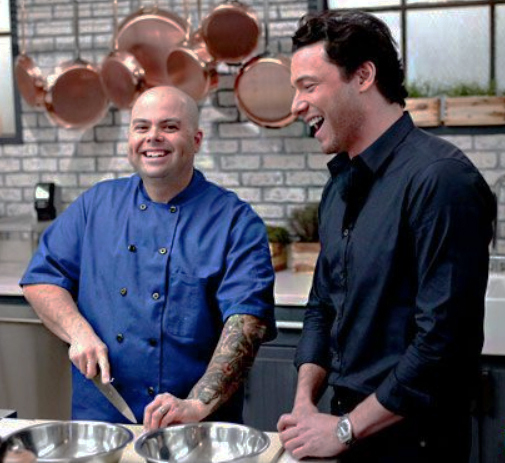 As we sat chatting, he mentioned that he was going to be a contestant on the August 3rd episode of a reality show on Bravo called Rocco’s Dinner Party. This particular episode was entitled Runway Ready. The participating chefs would be tasked with creating special dishes based on a given theme which was to create dishes that would be inspired by high-end fashion, as well as mass produced ready to wear. To add a special twist the guest of honor would be designer Nicole Miller. He wouldn’t say much more about it, so of course I couldn’t wait to see how it played out. Chef Frank neglected to tell me that he’d won! Of course I had a million questions… so I asked. How did your appearing as a contestant on this show come about? Was it fun? I was between contracts in the process of moving from Las Vegas back to the Bay area. I had a few weeks off and my wife while looking for a new home for our family stumbled on a classified ad for Rocco’s Dinner Party. I sent in my bio and resume. A day later was contacted and described the initial criteria for the show. The process was actually a lot of work with many hurdles, interviews and even a physical. How was it trying to impress a well known fashion designer? demanding on every level. Maybe that is why my demeanor in the kitchen is so serious. I always try my best to make the guests more than happy. I am confident and honestly rarely intimidated by who I am cooking for. I just always try my best and that is the best I can do. How difficult was it to come up with dishes to meet the given criteria? This in fact was the most difficult part of this whole experience. I think sadly after production, this was the part of the show that was lost. On a daily basis I overcome really difficult odds and make it happen for the guests, last minute details of all kinds, over the top expectations…..but this show (pardon the pun) really took the cake. I was told the criteria for my dinner party and immediately I was swept away to the local grocery to shop. There was no time to really plan or to think straight and I did not dare think too hard as I knew I needed to be flexible in case the store did not have ingredients that I typically use. Things changed second by second and to make things even more difficult I was trying to make things flow with the forties glam style. So to answer your question it was REALLY difficult. What part did you enjoy most? Like every day I work, the part of my day I like best is the cooking. Once all the shopping and planning is out of the way comes the cooking. 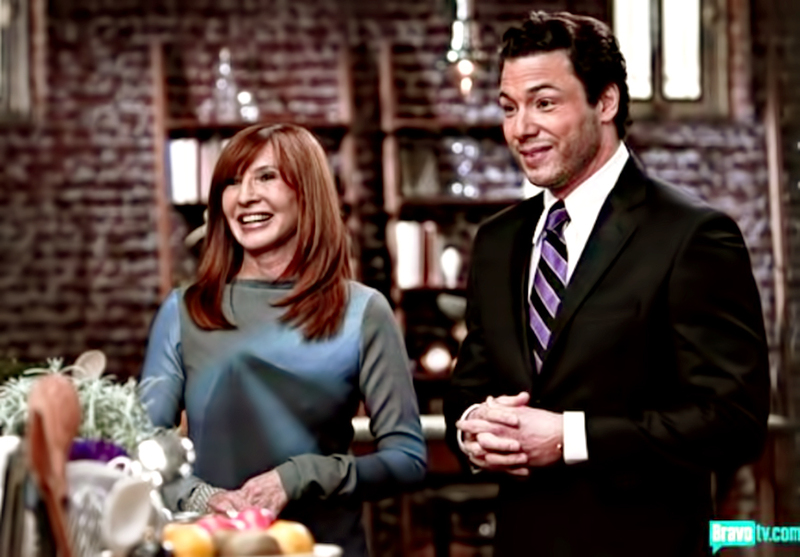 The cooking will always be the hi-lite for me, a time to put my head down, roll my sleeves up, and simply get to work. Cooking is a time for meditation, a time for self expression and a time for me to feel like I am doing what I do best. How real is the reality show? Honestly I am not allowed to talk so much about the production of the show. BUT in my own defense I am really a lovable teddy bear of a guy. I think I was made out to be a bit of an egotistical, chauvinistic, jerk but I assure you I am a sweetheart! I will admit I am extremely confident in the kitchen and do feel like the alpha chef when I am in my own environment. Is reality TV real? Well yes, the action and stress of the show was real and many things to enhance the script are done to make it good TV. Those things are done by production minute by minute and are not shared with the cast to actually keep the reality of it real. 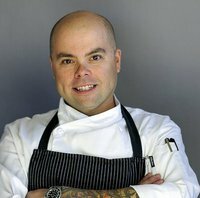 What path led you to become a private chef? I graduated from the California Culinary Academy in SF in the early nineties and started climbing the hierarchy of the kitchen brigade. I spent 10 years in top restaurants, working under extremely militant detailed chefs. I paid a lot of dues taking baby steps learning as much as possible, always moving on when I thought I was ready to spread my wings and not a minute sooner. I became kitchen management responsible for the kitchens of 3 star Michelin trained Relaix & Chateaux chefs. I was at a crossroads one day when working back east and wanted badly to return to the San Francisco Bay area. I found myself looking for a job and came to the conclusion I was not going to be happy employed by the majority of Chefs in the city so I started my own private chef business that really took off. Then later went from working with several families to working only with one family at a time. I work with extremely high net worth individuals who appreciate the attention to detail that has been instilled in me by those passionate chefs. You’ve traveled all over the world to experience various lifestyles and cuisines. When you create a new dish what do you base your choices on? I am a hugely driven by products. I love seasonal perfect items that represent someone else’s passion whether it’s small farmed produce, boutique wineries, local artisanal cheese, local neighborhood honey or the neighbors farm fresh eggs. I love walking into a store with no plan and leaving with one hundred ideas. I will sometimes have a style in mind but not always the specific dishes. I am really driven by smells, if you see me at the farmers market you will usually find me smelling everything I pick up. I get this recall from smells that make me salivate and think of other things that will make this smell/taste even better. I rarely do things twice the same. I rarely leave well enough alone. Sometimes good and sometimes bad, I am an overachiever that always tries to do better and better. You cook for a lot of dignitaries. What do you focus on when creating a menu? When I have a VIP menu to write it is really important to keep the offerings well grounded. Heaven forbid your VIP guests have an embarrassing moment of not liking your food. I offer extremely innovative menus that have very typical items. Things the average person would enjoy no matter how complex its preparation. Their assistants always give the kitchen general guidelines as well as dietary aversions. Also when entertaining guests are coming from out of town I love to offer local things that show off my own pride for the Bay area. I live in a demographic where the products may be hands down arguably the best. I know you’re a believer in presenting fresh, healthy food. How do you find ingredients that aren’t readily available? Do you grow some of your own vegetables and herbs? I do grow quite a bit of my own produce. I have a very large and productive garden and it is awesome to go with a pair of scissors and a basket and return with lunch. I also buy the neighbors fresh eggs. I visit 3 local farmers markets. I order fish from the east coast and have wild European/Mediterranean fish Fed Exed in. I have great relationships from all over the world that have stayed with me from years ago. I am able to have my purveyors hand pick most of my ingredients to my specs and will not work with vendors that don’t have respect for our planet, its resources and sustainability. I pay close attention to seasonality, as well as how my decisions will affect my children’s future. What’s the best thing about being a private chef? The best thing about being a private chef is the ability to run your kitchen as if you are self employed. It is my show. Much depends on your clients but currently I have the most supportive kind clients that I adore cooking for. If you are lucky to great clients that have resources the sky is the limit. There is no end to the best tools, the very best products and everything imaginable you ever wanted can come into focus if you have supportive clients that want you to create the very best for them.. I have 2 assistants and house cleaners that assist. Sadly I think most restaurant chefs think less of someone like me who goes to private cooking. I must admit I did. BUT let me tell you something this has been one wild ride. I have worked more hours and I have worked with cruel overly demanding nasty people. I have had to put my name on every single plate that leaves my kitchen and be 100% accountable for every bite. Being a private chef is no walk in the park. You need to have really thick skin and most importantly incredibly flexible and put you and your family second to your clients needs. Thank you Chef Frank. It was fun. We love feedback! Write a comment or ask a question and you may win a Phoenix Fashion Week T-Shirt!